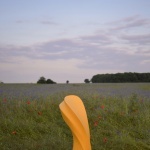 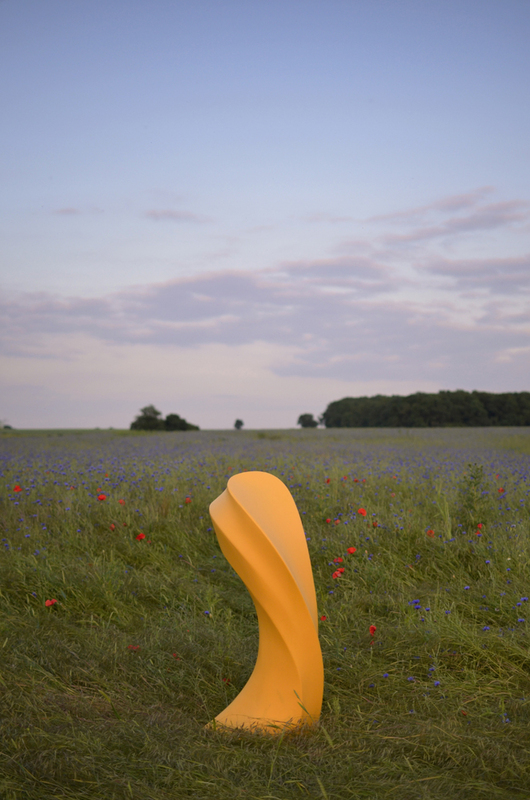 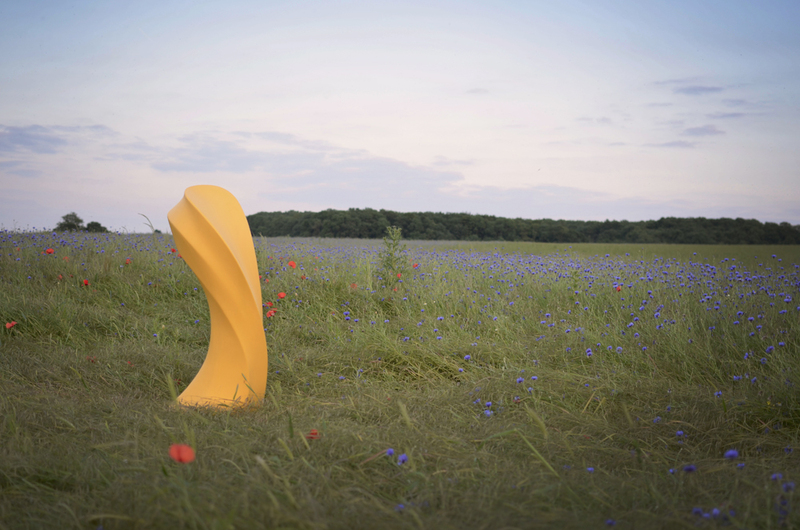 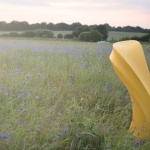 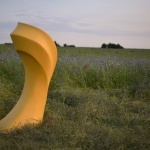 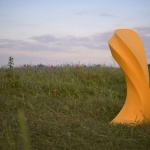 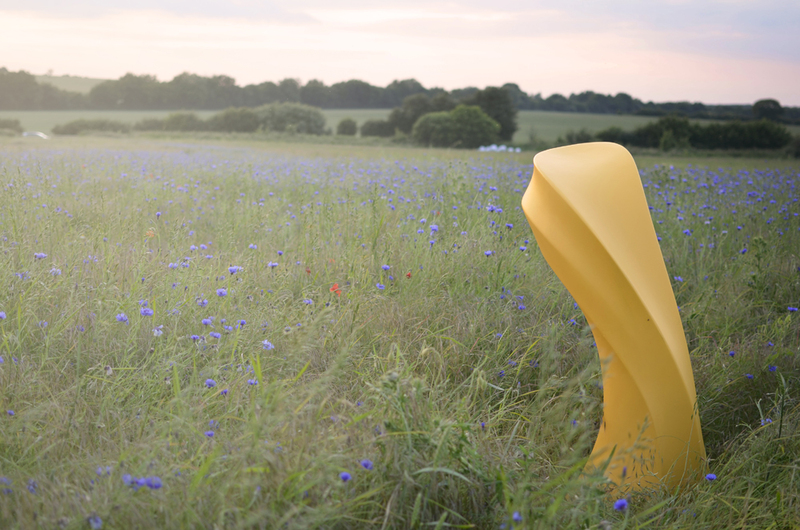 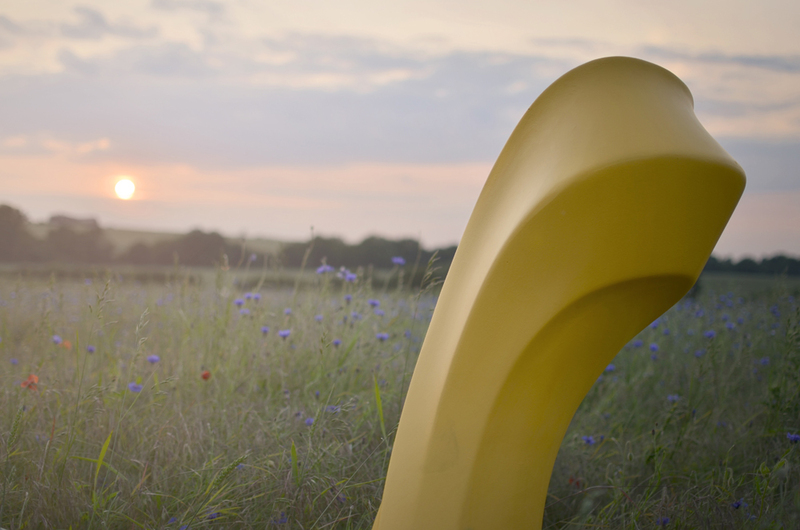 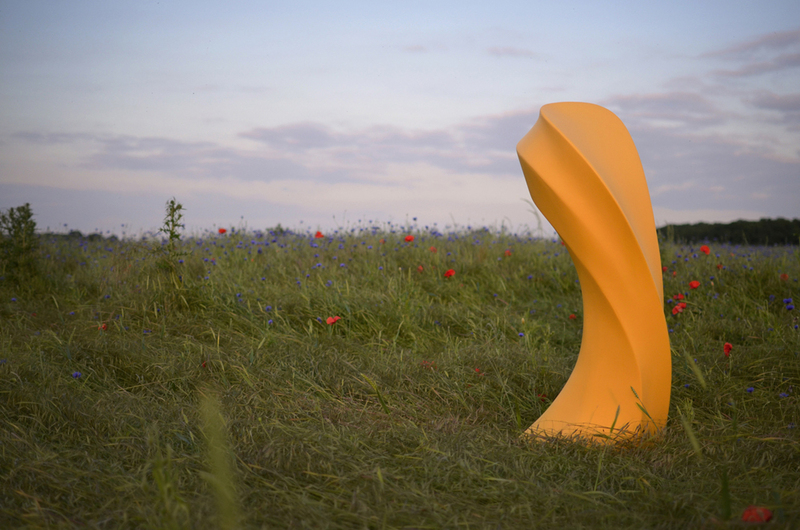 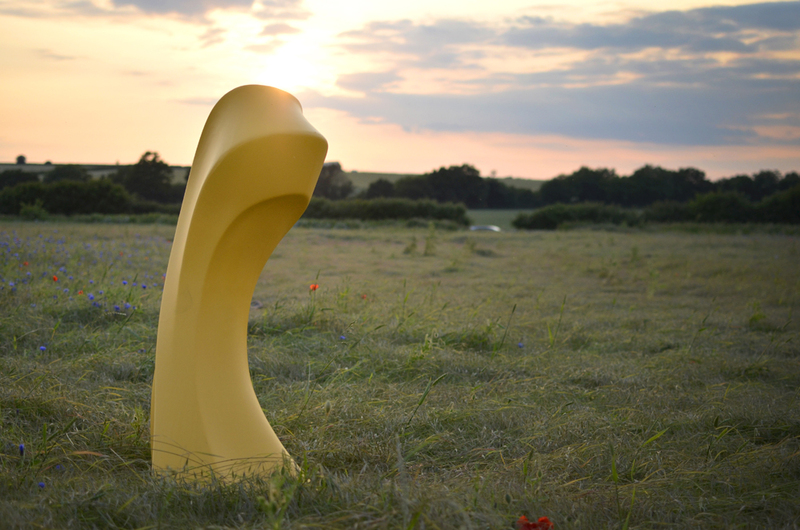 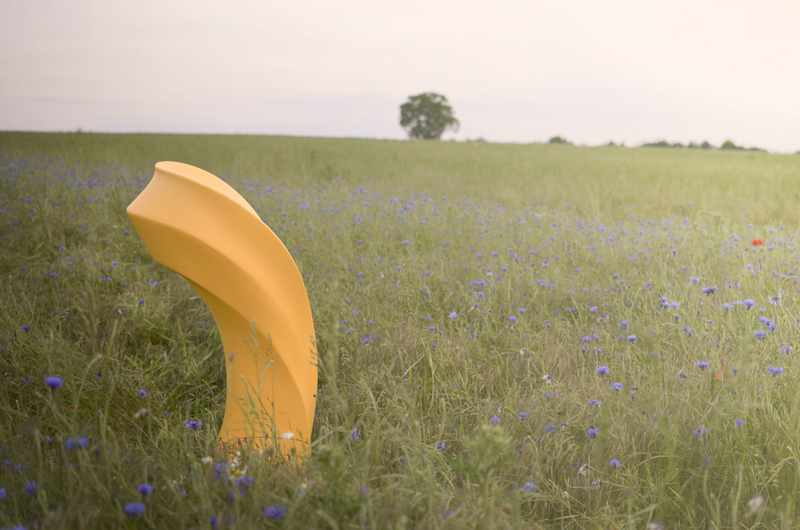 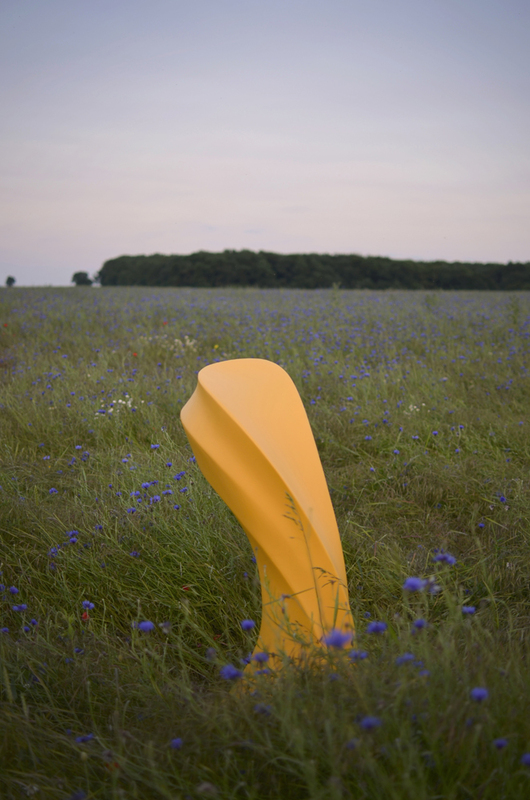 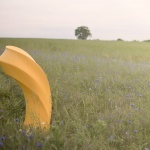 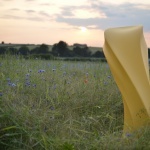 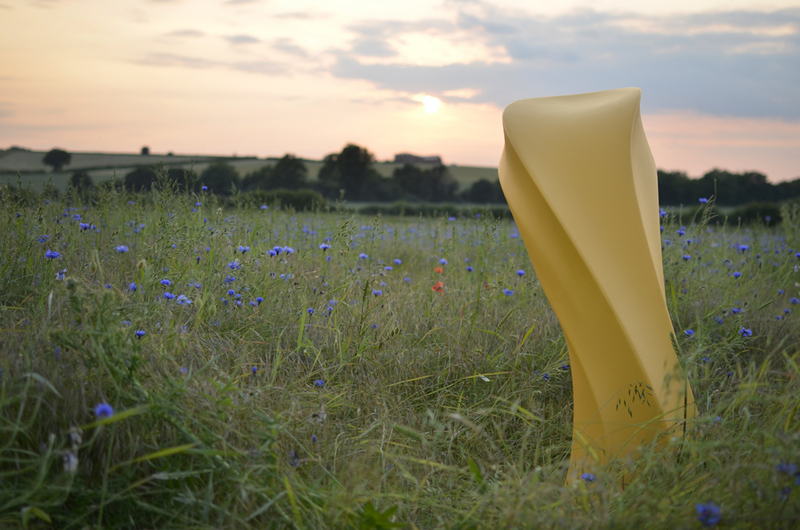 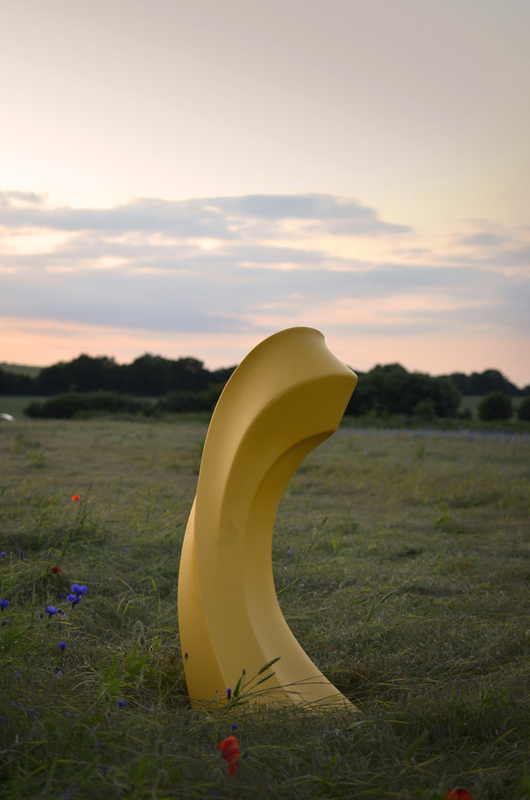 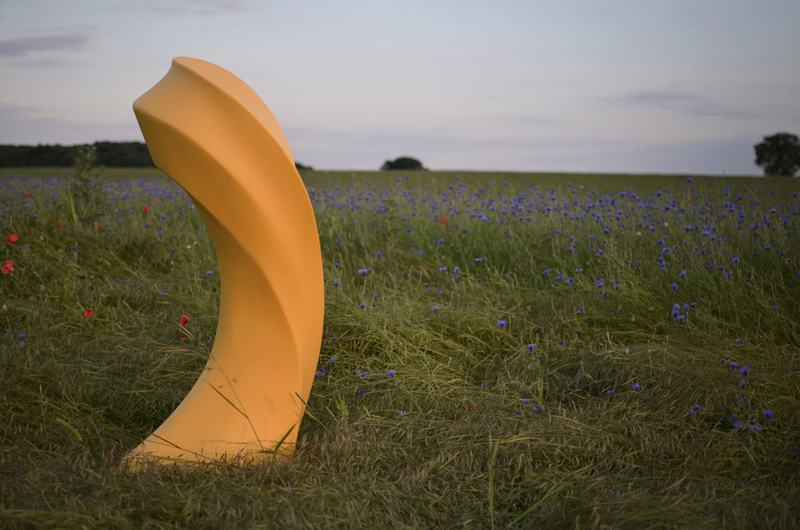 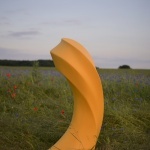 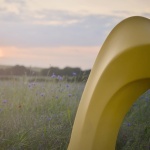 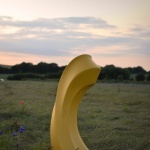 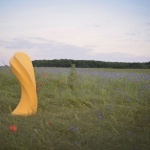 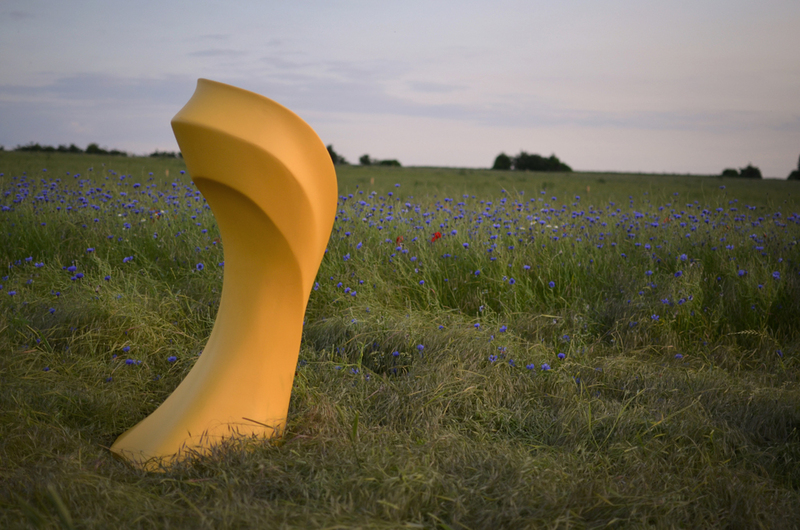 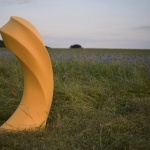 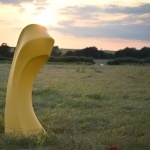 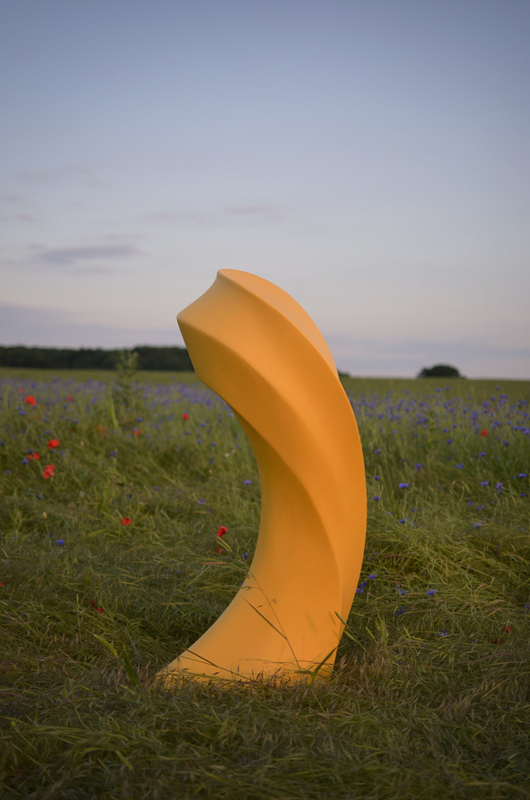 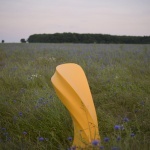 The Yellow Liquid Silk Contemporary Garden Sculpture is available handmade to order by myself and can be customized with a colour to suit your needs. 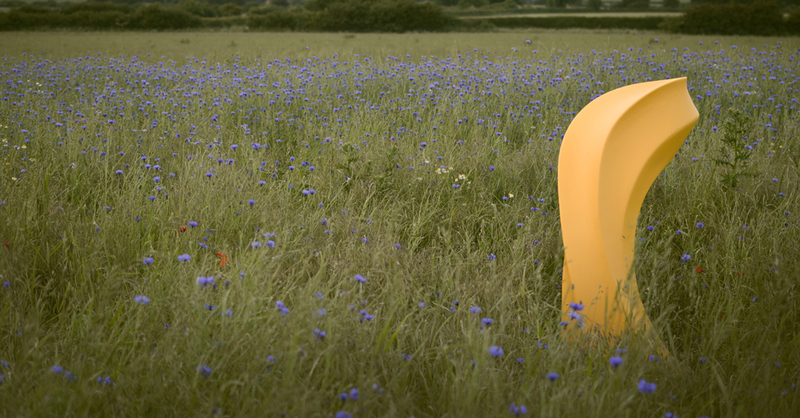 It is an exterior grade paint so it weathers well and can easily be spruced up if need be. 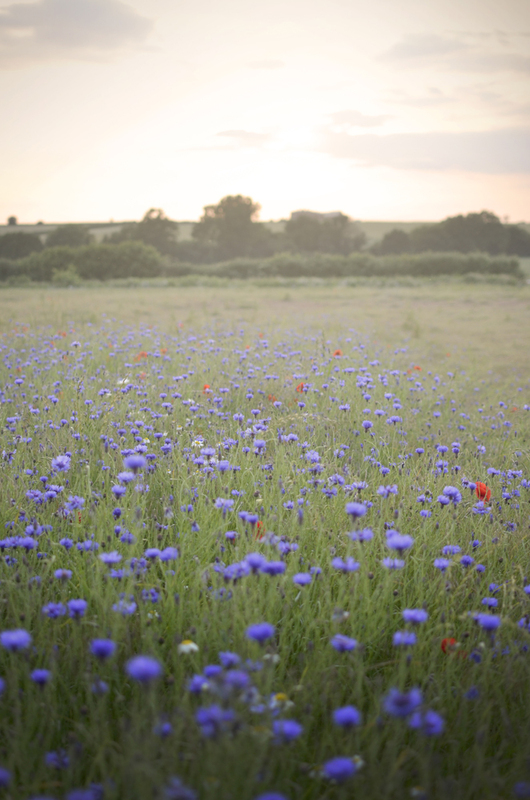 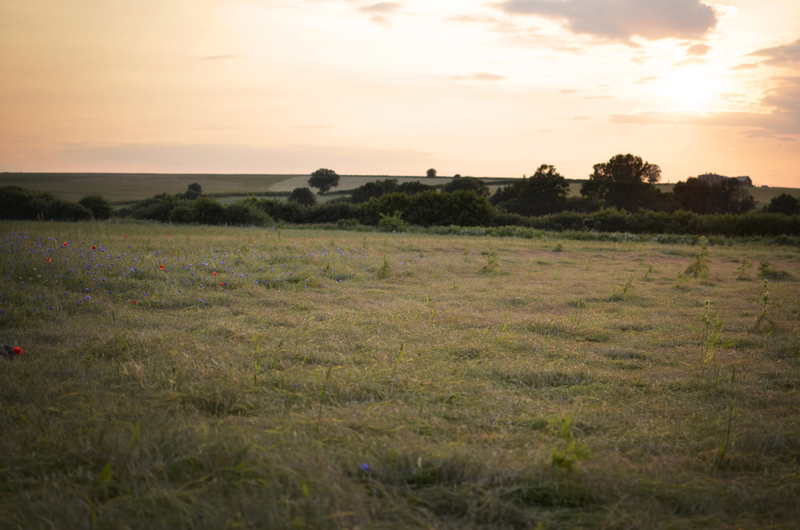 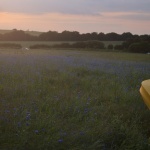 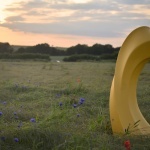 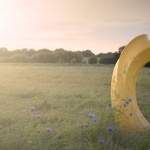 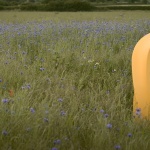 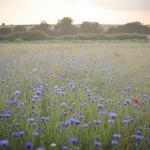 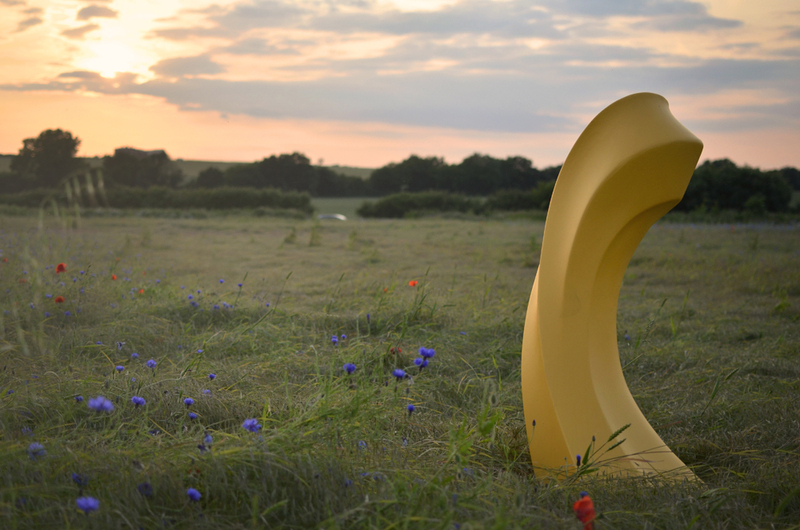 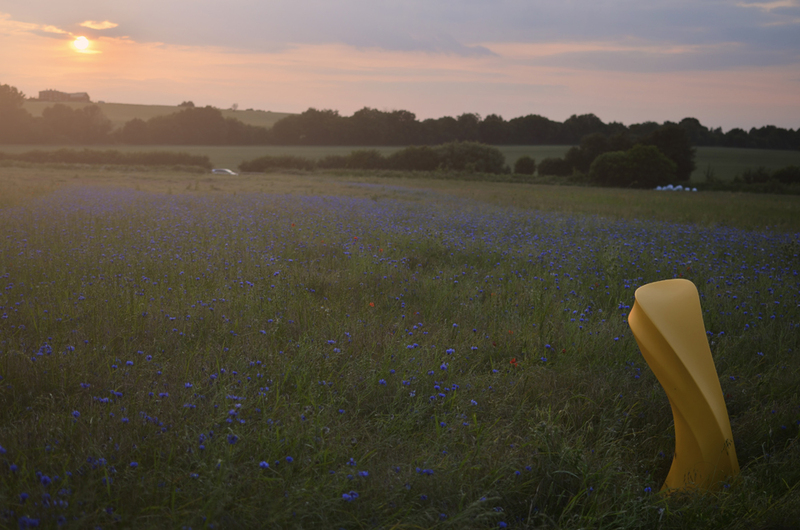 The sun was shining and the fields were in bloom so it was a perfect time to take the sculpture art out for an airing and photograph it in a desirable setting. 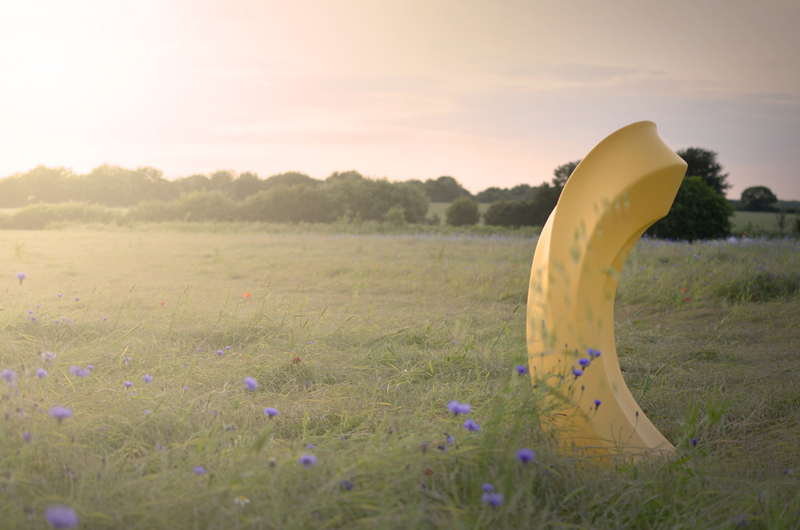 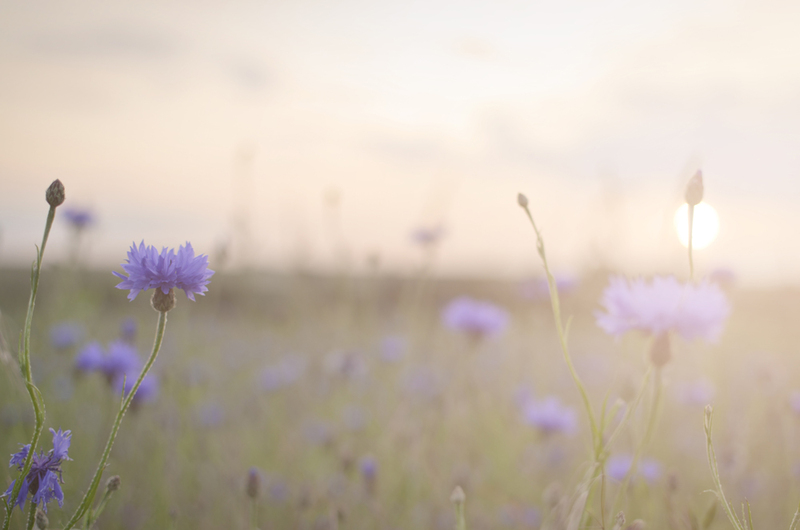 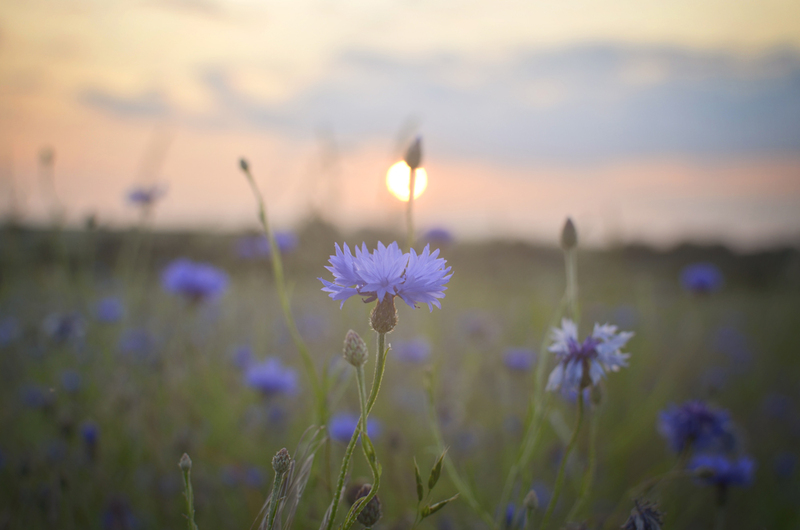 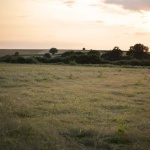 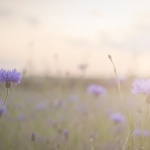 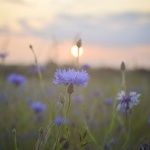 I tried to use the evening sun to high light the softness of the design and avoid the harsh shadows that can arise from shooting in the middle of the day. 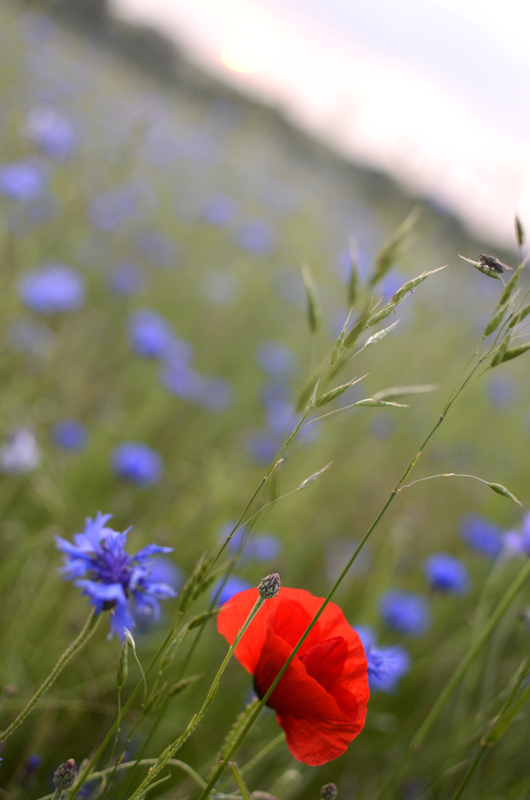 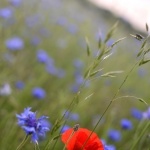 Along the way I took some nice flower pictures which I thought would add to the album.